I'm an artist living on the northernmost edge of the Isle of Skye in Scotland. Your membership of my Patreon enables me to spend time creating my monthly painting projects and step-by-step demos, writing about how to paint and what I'm doing in my own painting, and keeps my website and studio blog advert free. If you've searched online on how to paint, you've likely come across one of the articles in the 12 years I wrote for what used to be Painting.About.com (now called Thought Co.). By being a supporter, you're helping me write similar, and better, new content. The Community section of my Patreon (see the tab at the top of the page) is a space to get share and ask questions, including monthly painting projects. Working on the "it all adds up" principle, if you pledge the price of a cup of coffee and slice of cake a month, this adds hours I can spend writing and photographing articles (and gradually doing more video as my rural broadband gets faster). HOW IT WORKS: New patrons are charged the day you sign up and get immediate access to the patron-only content, then on the first of the month going forward. If you increase your pledge, you're charged the difference the day you do it, thereafter the new total on the first. Thank you for your support and enthusiasm. Happy painting! Wave in my direction, saying hello and supporting my daily artistic work in the historic tradition of artists and patrons. Access to exclusive extra material supporting the monthly painting project through posts here on Patreon, plus a short critique of your project painting via email or in the community section of Patreon. Get a thoughtful, constructive critique of one of your paintings or drawings each month, via email. I'll tell you how to improve or develop your painting, what I might have done differently or still do, or where to go next. Plus feedback if you rework a painting. Plus access to all my Patron-Only posts. Every month's patronage accrues to 30 minutes workshop on Skye with me, either on-location at my favourite spots or indoors out of the weather. A way to plan ahead for that trip to Skye you've been promising yourself. 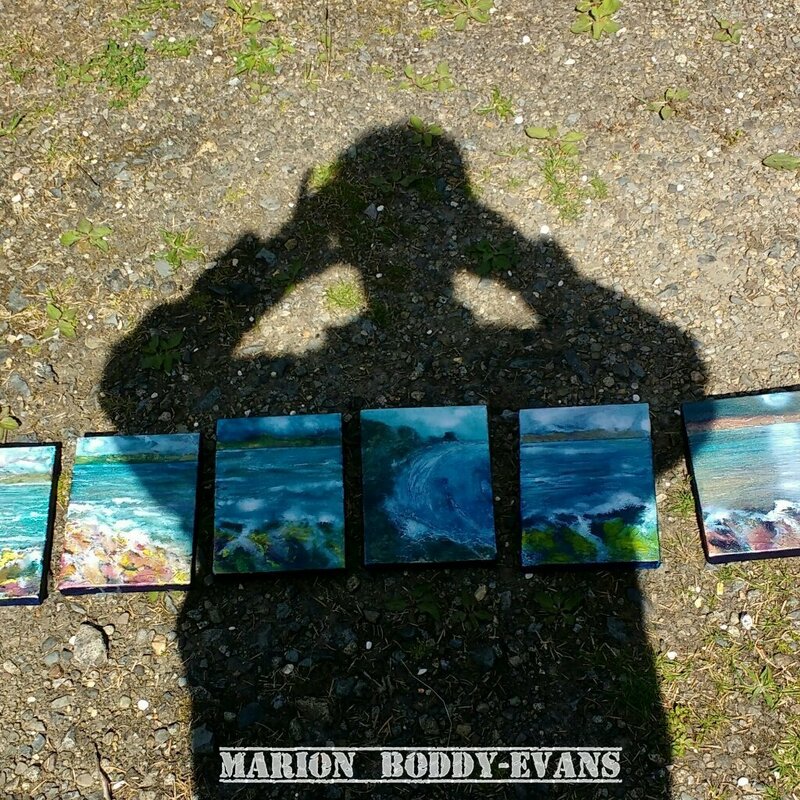 Each month I will create an original painting on canvas (15x15cm/6x6") and post it to you. Colours, subjects, will be a surprise. One month it might be a sheep or a sheepdog, another a seascape or still life; together they'll create your own art collection. When I reach 50 patrons, I'll write a step-by-step of a painting with 50 photos to celebrate. Including photos of my brushes, palette, colours, details.